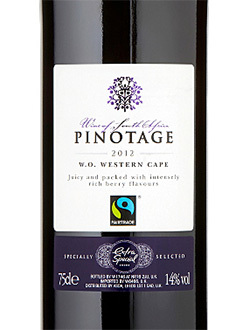 Pinotage is a grape native to South Africa, which has been grown there since 1925. 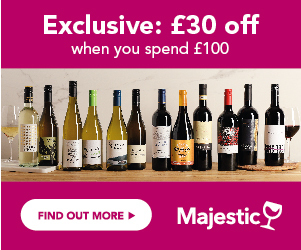 A cross between the Pinot Noir and Cinsaut grapes, it is unique in style, and tends to have a ‘marmite’ effect on wine drinkers, who either love it or loathe it! A little is grown in New Zealand, but it is mainly unique to South Africa. It’s a maverick grape, and a workhorse grape for South African red wines; produced as a single varietal, especially on single estates, it’s also a key component of most of the red blends in the Cape. Despite its inherent association as the national grape of South Africa, it occupies less than 10% of the total vineyard area, although plantings have increased in the last 10 years. What Is The Background To Pinotage? Pinotage is a named because of its heritage – a cross between Pinot Noir and Cinsaut; the ‘age’ in the name of the grape, comes from the end of the name ‘hermitage’, which is a local name for the Cinsaut grape. Whilst a native grape, Pinotage lost popularity in South Africa during the 70s and 80s, and over half the country’s vineyards of the grape were uprooted, although various estates, such as Kanonkop, continued to champion the grape. In recent years, and with the new era that came into South African winemaking in the mid-nineties, Pinotage has been replanted, although there is still a wide diversity of opinions both locally and nationally about this grape. One of the reasons for producers giving up on Pinotage, was its difficult nature, prone to disease and low- yielding, with a highly unusual and divisive style of wine. Today it is an integral part of the South African wine scene, although it still has many detractors. What Does Pinotage Taste Like? Pinotage is unique in its style and taste, and is one of the most divisive grapes – wine drinkers and winemakers either love it or hate it! It’s a dark-skinned grape with intense flavours, and high acidity. Made badly, it can be over acidic and highly tannic, and many of its detractors criticise its’ burnt rubber’, and smokey character. The best Pinotage have a wildness about them, a character of herbs, and sweet, wild raspberry and loganberry fruit, often with a tobacco/cigar edge. They can be great early drinking wines, especially those made from bush vines. There is a trend towards ‘coffee Pinotage’, a style of making Pinotage, which brings out the mocha/coffee aromas and flavours in the wine. Pinotage is often used as part of a blend, frequently blended with Shiraz or Cabernet Sauvignon. It is also often used in dry Rose wines, either on its own, or again, as part of a blend. The Pinotage grape is native to South Africa, and not grown in many other places. It is a cross between the Burgundian Pinot Noir, and the Cinsault grape from the Rhone. What Does Pinotage Go With? Pinotage is a rich, warm, spicy red, with a naturally rustic edge. Because of this style, it works very well with warming stews, steak pie, and braised meats. It’s also a great wine for barbecues, sausages and burgers. The Rose wines are often good with salmon, tuna and also pork dishes.